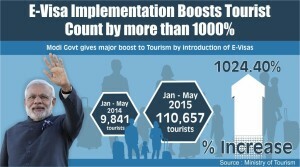 The prime minister of India, Narendra Modi has given Indian tourism an enhancive shot by implementing e-visas for additional nations. Modi’s record of a number of international outing and effortlessness with selfies, as well other hands-on gauge, has given a boost to the tourism industry. Modi’s trips to foreign countries, some are of them was the first time as an Indian leader, have generated the interest of Indian travelers in the location where he visited. Besides the destination to improve the tourism of the country and move out e-visas for additional nations aided enhancement inbound arrivals as well. India’s MD from Travel Solution, Rakshit Desai said that travelers would become more confident when they visit the same places where PM has already visited Bhutan, Australia, and China. The company realizes the growth of 20-25% in outbound travel in the last one year. 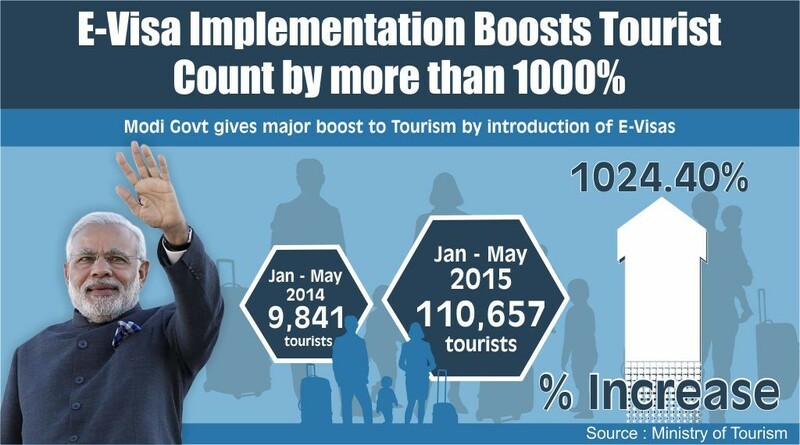 Some destinations such as Japan, Fiji, South Korea and Seychelles also have increased visibility because of the visits of Modi. Industry specialist estimate that the number of Indians to travel abroad will reach up to 50 million by 2020 and their expenditure will cross $28 billion by then, more from 15 million and $15 billion in 2013 as the Indians are rising as large voyagers and profligates on the overseas travelling. Thomas Cook India, leisure travel (outbound) head, Shibani Bhaskar said that the overseas visits of Modi make stronger the relations with the foreign countries and trade have received extensive media revelation which results in delicate visibility for international destinations and thus a latent motivation to Indian tourists. The travel services firm realizing 35% raise to destinations in New Zealand-Australia belt and Europe.